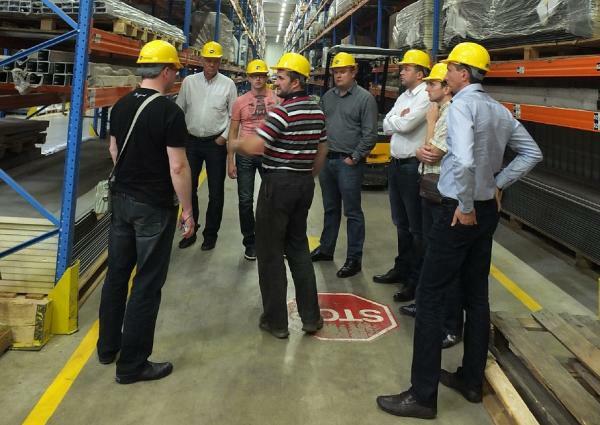 During the stay in Nadarzyn LC, the group was introduced to VTS logistic system as well as the rules and regulations present in VTS. It was also possible for them to see VTS warehouses. The group took part in a technical seminar in VKC where the main features of the devices from the present product offer were explained. The guests had an opportunity to get acquainted with Polish culture as well as the tastes of traditional Polish cuisine. Having seen Warsaw monuments, such as: The Royal Castle or Warsaw's Old Town, the group could recharge the batteries and delight in the tastes of traditional Polish dishes served in 'Dom Polski' restaurant. Each guest received a parting gift - a commemorative album of Poland - so that the short but enjoyable visit can stay in their mind for long time.